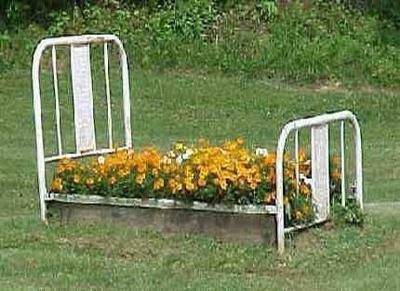 Would you like to see my flower bed? It is really different, I think, than most. The best hour I would say is bedtime. Very quietly as if you were a ghost. Although daytime is the best time. Then you can see my flowers dance. As the air swirls quietly around them. But at night they fall into a trance. I love this poem. It is so cute and matches the picture perfectly.